The TechHive staff was saddened to hear of the passing of the incredible actor and comedian Robin Williams on Monday. He attended high school and some college across the Golden Gate Bridge in Marin County, and lived here for most of his life—the Bay Area is proudly protective of its handful of celebrity residents, so grateful are we that a few big stars prefer our foggy home over the flashier Los Angeles. 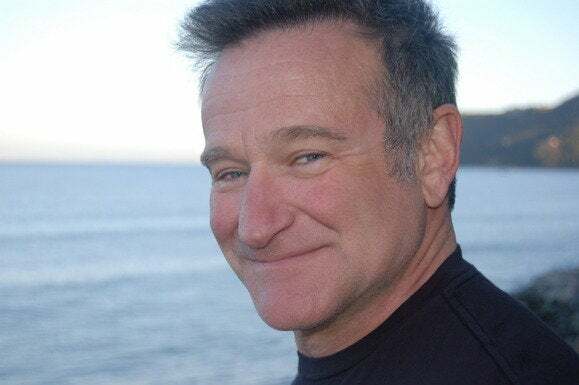 Robin Williams was a geek, too: he loved video games so much he named his daughter after Princess Zelda, plus he showed up on stage at both a Google keynote at CES and to help Will Wright introduce Spore at E3. We want to honor the incredible talent of Robin Williams by collecting some of his best work that's available for streaming on services like Netflix, Hulu, Crackle, and Amazon. While favorites like Good Will Hunting, Dead Poets Society, Good Morning Vietnam, and Mrs. Doubtfire aren't currently available on the big subscription services, they're worth a rental or a purchase. The nine titles we've listed here span his entire career, showing that whether he's playing an alien, a cartoon sailor, a gay nightclub owner, or Peter Pan, the boundless energy in his performances will never be matched. Enjoy these films and TV shows, and if you or a loved one is struggling with depression, please reach out for help. The Birdcage, on both Amazon and Netflix, features one of of Robin's best performances, as Armand, the owner of a drag club in Miami Beach. Armand's 20-ish-year-old son Val gets engaged to Barbara, the daughter of a conservative U.S. Senator, but she hasn't exactly confided in her right-wing parents that her fiance has two dads. To avoid aggravating an unrelated scandal, Val asks Armand and his partner—Albert, the drag club's star, played to perfection by Nathan Lane—to go along with Barbara's story temporarily, when her parents come to visit. Naturally, the charade doesn't go well (or, rather, it goes too well) and hilarity ensues. Robin and Nathan Lane are wonderful together, Gene Hackman and Dianne Wiest are perfect as the senator and his wife, and Hank Azaria steals the entire show as the housekeeper/butler Agador Spartacus. Robin Williams often seemed like a little kid trapped in the body of an adult (and played such a character in Jack, as a 10-year-old boy whose Werner syndrome makes him appear 40). So it's amazing to see him play Peter Pan, but with a twist: in Hook, Robin's Peter Pan grew up and went to law school and cares more about corporate dealmaking than attending his kid's baseball games. Dustin Hoffman shines as Captain Hook, but Robin's transformation from an uptight adult to the flying, fighting, crowing leader of the Lost Boys will make you stand up and cheer. Watch this one with your kids, but be sure to have tissues ready (for you) when the adorable Amber Scott sings "When you're alone, you're not alone...not really alone." Let's all remember that, OK? Hook is streaming on Hulu Plus. Robin's first starring movie role was playing a cartoon character—fitting, since if a cartoon character were to come to life, he'd probably be a lot like Robin Williams. Popeye, which streams on Amazon and Netflix, didn't exactly light the world on fire—it's got a Rotten Tomatoes rating of 57 percent. (Some argue that the rancor directed at Popeye is misguided.) But it certainly is well cast: besides the uncanny way Robin makes Popeye's speech and mannerisms seem totally normal, Shelley Duvall is perfect as Olive Oyl. Until his 1987 performance in Good Morning Vietnam brought an Oscar nomination and ushered in a new phase of his career, Robin Williams' best big-screen performances can be found in The World According to Garp and Moscow on the Hudson—the latter of which is streaming on Hulu. Robin plays a saxophonist with a Moscow circus who defects during a tour of America and has to adjust to life in his new country. Robin's performance impressed Roger Ebert who wrote that the comedian "disappears so completely into his quirky, lovable, complicated character." It's perhaps odd that a man who made his name as a stand-up comic would find his greatest success on the big screen in more dramatic roles. But Robin Williams' talent really stood out when he took on serious fare. (Consider this clip from his guest appearance on the television series Homicide as a grieving husband.) The Fisher King—which is streaming on Netflix—has some lighter moments thanks to Robin's performance as a homeless man who thinks he's a knight. But it also has its share of heavy drama, which Robin handles deftly. Throw in a strong performance by Jeff Bridges as a shock jock trying to redeem himself, a memorable turn from the late Michael Jeter, and Terry Gilliam's distinctive direction, and you've got one of the more memorable movies in Robin Williams' filmography. Robin Williams didn't have to be the leading man to make his mark on a movie. If you can track down Dead Again—which sadly doesn't seem to be streaming anywhere—Robin nearly walks away with the movie in just a handful of scenes as a disgraced psychiatrist who schools a detective played by Kenneth Brannagh on the concept of past lives. Another one of Robin's smaller roles does happen to be available for streaming, though—The Adventures of Baron Munchausen. He appears in just one scene and not even under his own name—he's credited as "Ray D. Tutto"—but his performance is as memorable as his accent. Some Robin Williams performances are going to be very hard to watch for a while, until the shock and incredible sadness surrounding his death have had some time to fade. His title role in Bobcat Goldthwait's dark comedy World's Greatest Dad is definitely one of those (it's streaming on Netflix and Amazon, although you might want to wait a while). Robin's guest starring role in Louie, in the season 3 episode "Barney/Never," streaming on Netflix and Amazon, is likewise more poignant now that he's passed away, but watching it is more likely to make you smile than cry. In the episode, Robin and Louis C.K. are the only two people to show up for a mutual friend's funeral, and afterwards they get to talking about how much they both honestly disliked the guy—but still, they couldn't let him be alone at his final send-off. Because it's Louie there's a funny twist in the middle, and a cathartic belly-laugh at the end, and I won't spoil it for you, so just check it out and remember to hug your loved ones tight.